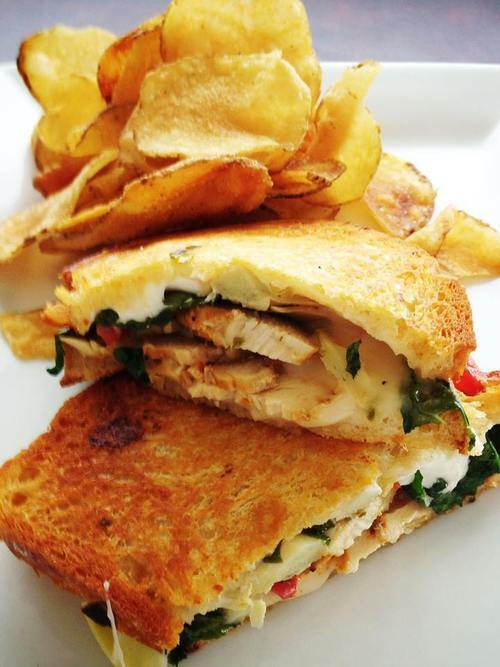 The creativity of Frisco’s culinary scene has officially reached fever pitch. From restaurants whose menus are laser-focused on variations of one single dish, to an ice creamery that uses liquid nitrogen to create its sweet delights on the spot, to cupcakes that think outside the circle, adventures in dining abound in 75034. 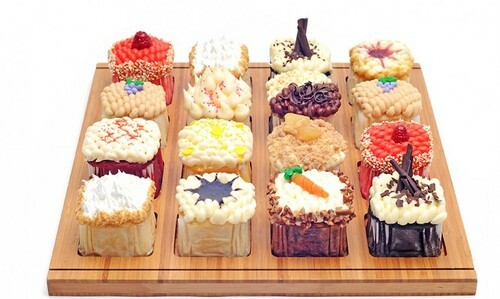 You don’t have to be a math nerd to appreciate Cupcakes Cubed—you just need a sweet tooth. At this particular bakery, it’s hip to be square and “think beyond the circle,” so all of their cupcakes are square. In addition to the menu of Signature flavors (think red velvet and ultimate chocolate) and Infused flavors (Dulce de Leche and pb&J are just the tip of the iceberg), Cupcakes Cubed also specializes in delicate macarons made in the traditional (and very much round) French style. It’s not a dream. 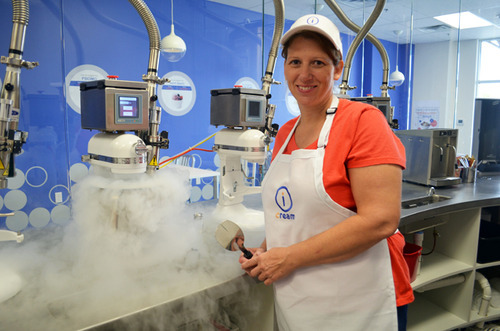 It’s iCream Café, where the treat your dream up is instantly frozen before your very eyes using the ice creamery’s “rapid freezing, super sweet liquid nitrogen machine.” Create your own unique ice cream, yogurt, sorbet, hot pudding or shake from a selection of flavors that go way beyond basic vanilla and an assortment of toppings and mix-ins. Nearly every flavor is also customizable in regular, light, soy, organic, sugar-free and dairy-free options. If you believe that the most important ingredient in any dish is cheese, consider Cheezies to be the big cheese. It’s hard to improve on a classic, but Cheezies does it, with an extensive menu of gourmet grilled cheese sandwiches and mac ‘n cheese highlighting varieties such as smoked gouda, mozzarella, jalapeno jack, and even traditional Swiss and white cheddar. Creative takes on childhood favorite mac ‘n cheese include the Memphis Mac, topped with smoked pulled pork and the Cajun Mac, topped with andouille sausage in a zesty tomato and red pepper sauce. In an age when you can customize everything from your home to your headphones, it should come as no surprise that Soulfire Pizza is capitalizing on the concept with 100% custom pizzas. Guests design their perfect pizzas, from the dough to the sauce to the cheese and toppings, and the personalized creation is baked in under five minutes. 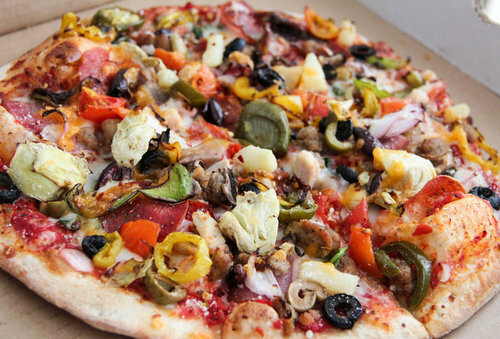 Even the most discerning of pizza artists will be pleased with gourmet topping selections like spinach, fresh garlic, kalamata olives and fresh basil. 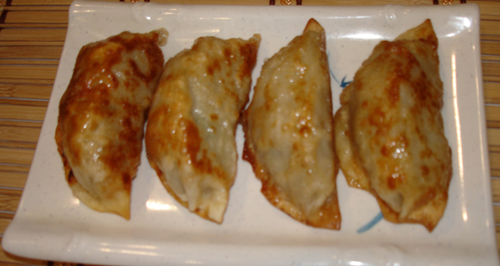 As any Asian food enthusiast will attest, you can tell a lot about a restaurant by its potstickers. 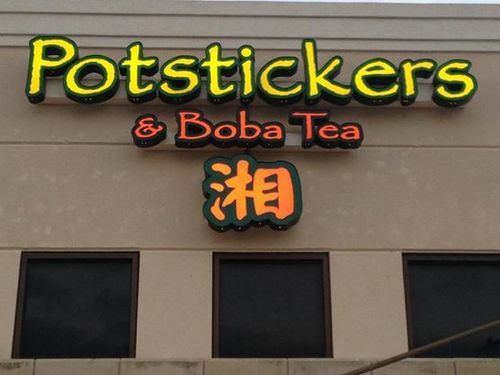 And that’s exactly what Potstickers & Boba Tea specializes in (in addition to Boba tea, of course). They have a full menu of traditional Asian fare, but the potstickers are where they really shine, made from scratch daily from the owner’s mother’s recipe. The potstickers are so tasty, in fact, that a food blogger at D Magazine wrote a sonnet about them.